8. 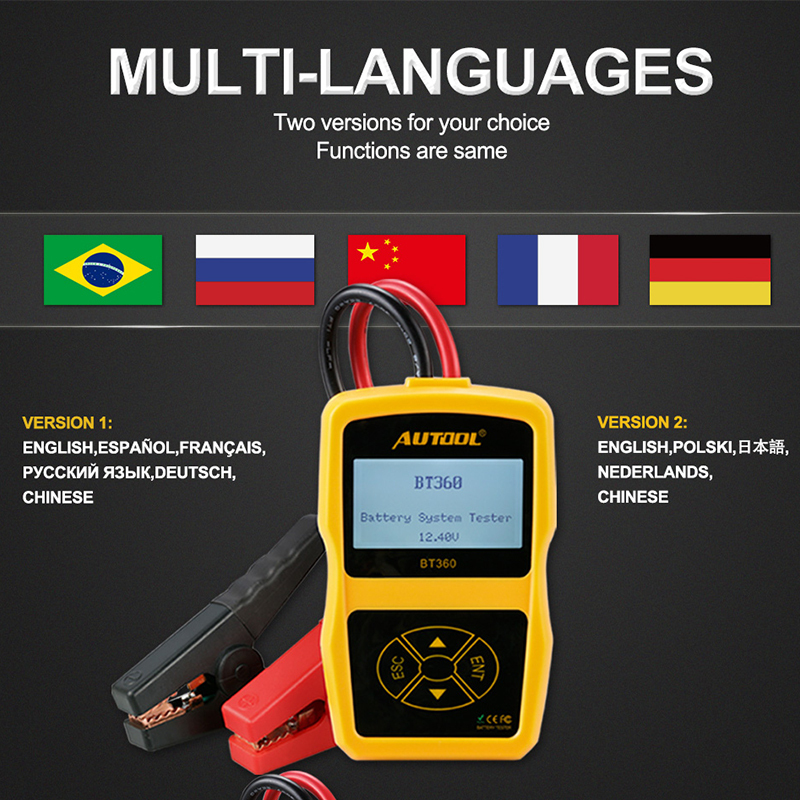 Vehicle cranking system test — cranking time, voltage and status. 9. Vehicle charging system test — load voltage, unloaded voltage, ripple status and charging system status. 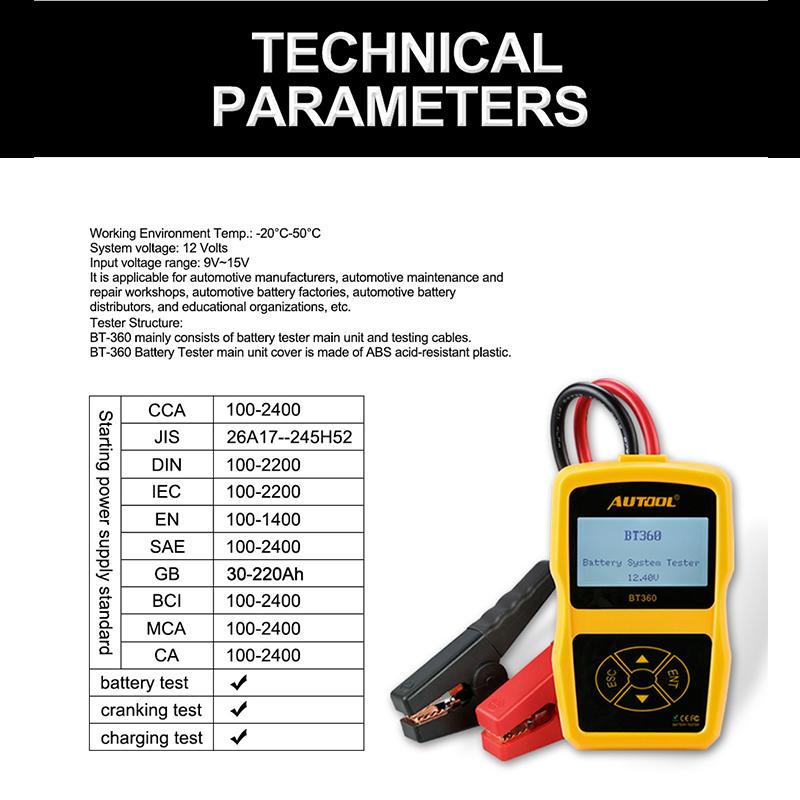 Capacity – Cold Cranking Amps (CCA), DIN, EN and IEC information relative to battery rating. 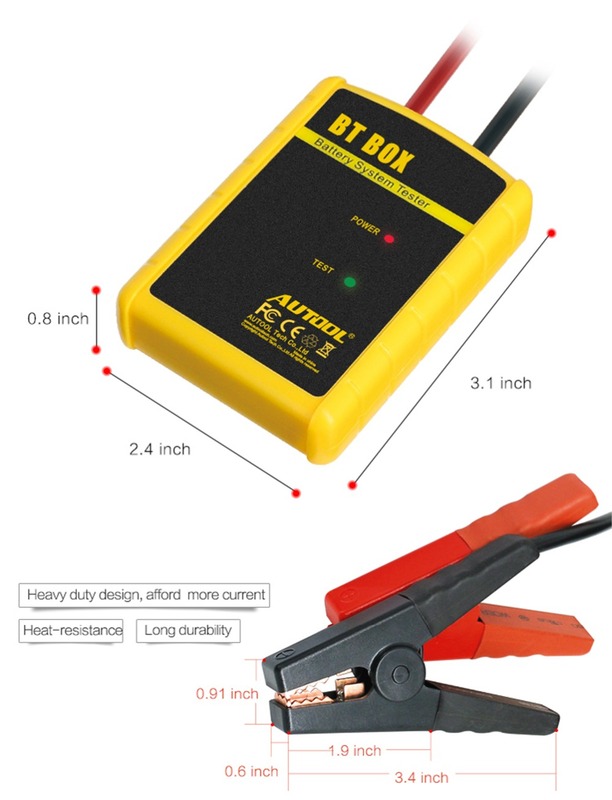 BT-BOX Battery Tester adopts currently the world's most advanced conductance testing technology. 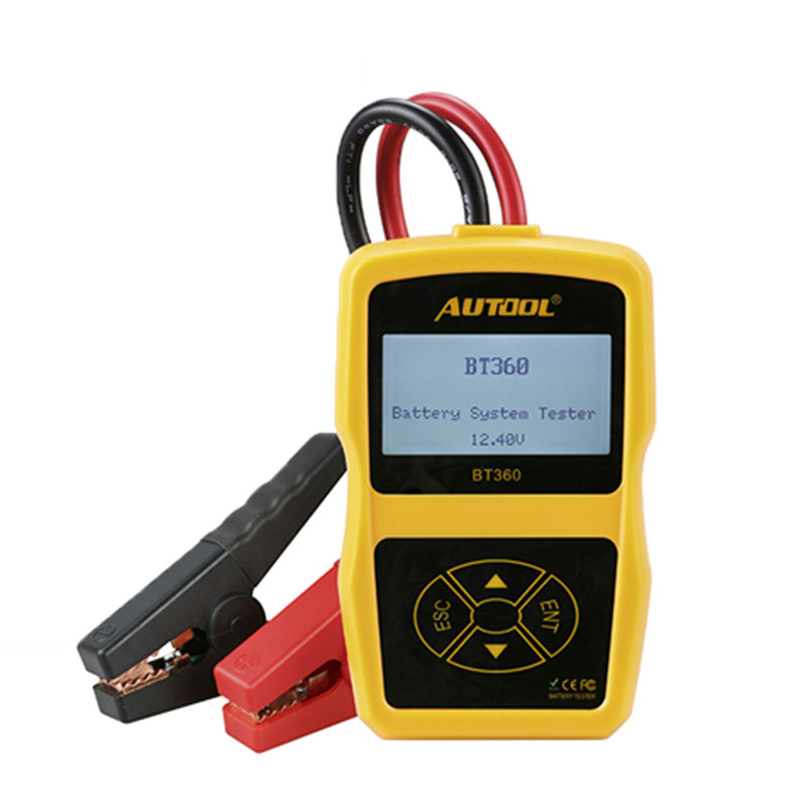 It can measure the vehicle's actual cold cranking amps capability, healthy state of the battery and starting battery. 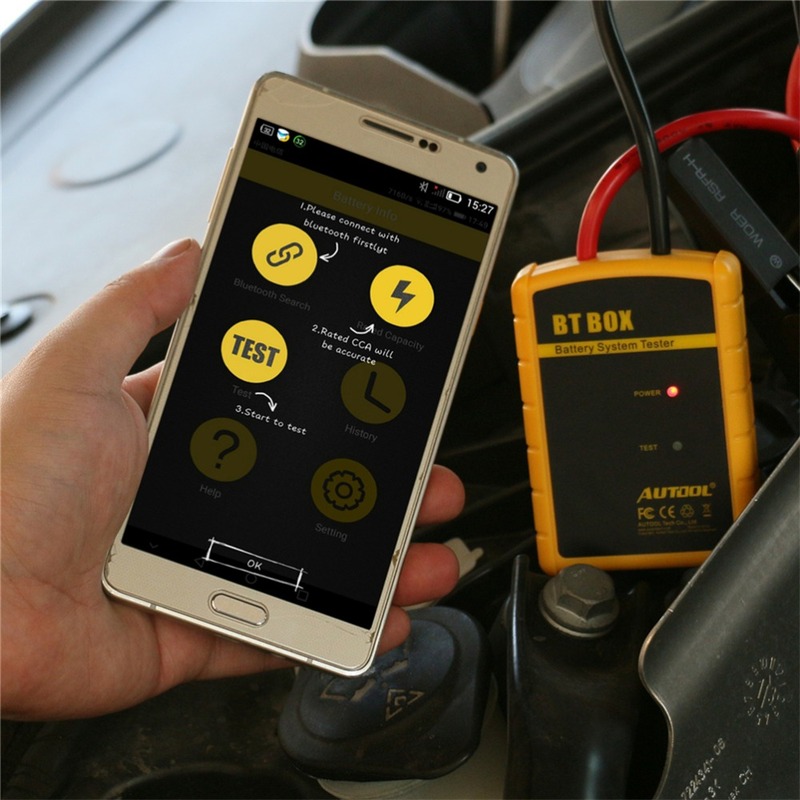 which can help maintenance personnel to find the problem quickly and accurately, thus to achieve quick vehicle repair. English, Spanish, French, Russian, Dutch, Gemany, Portuguese,Polish,Japanese and Italian. 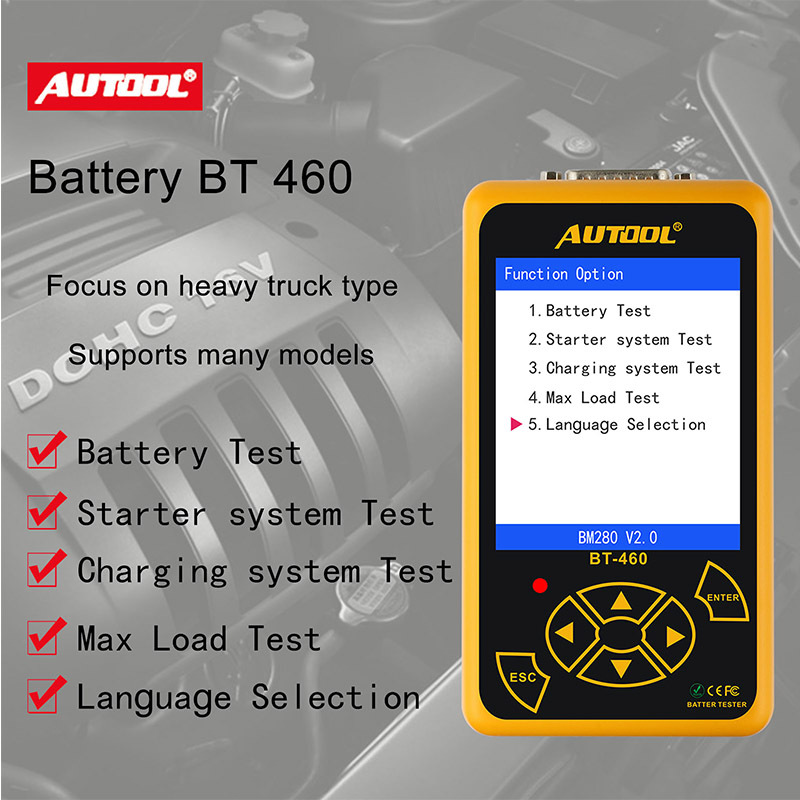 Compared with the above two, BT460 can directly test 24V's car. 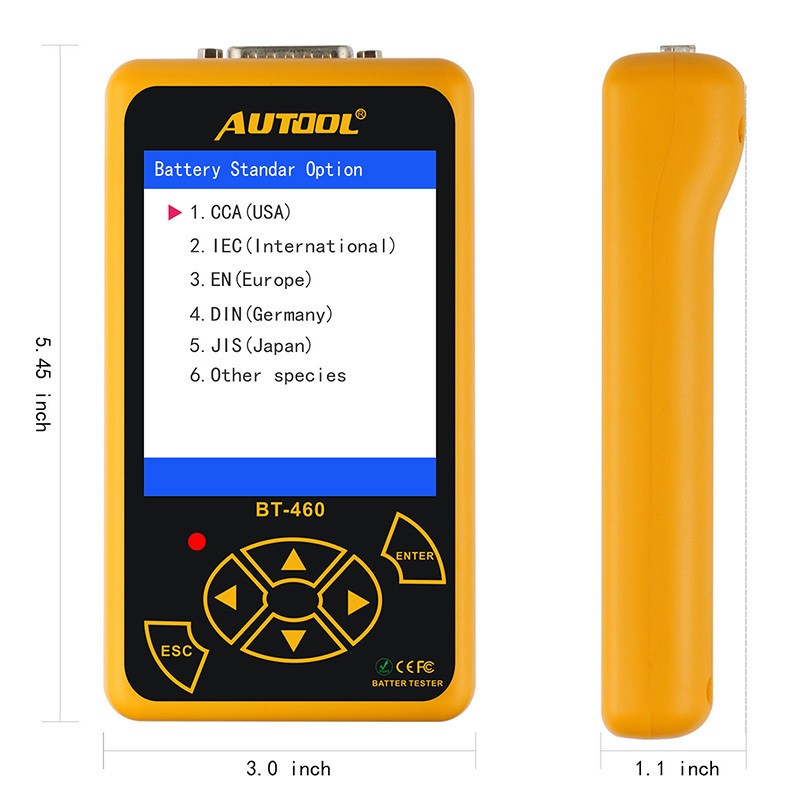 Main functions of BT-460 battery tester include: battery test, cranking test, charging test and other additional functions. 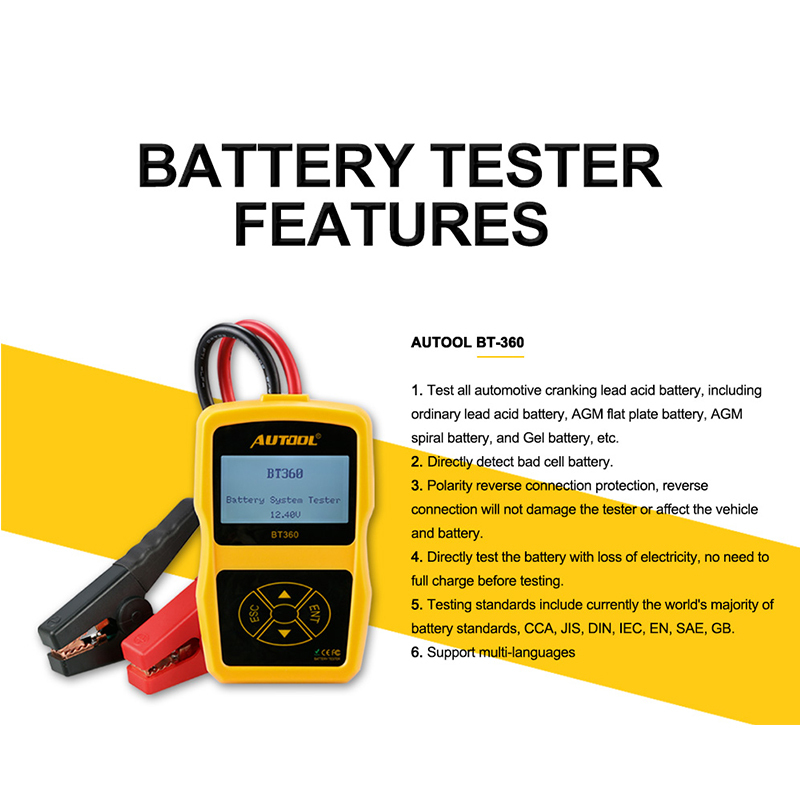 Battery test is mainly targeted to analyze the battery healthy status to calculate the actual cold cranking capability of the battery and the aging extent, which provide reliable analysis evidence for the test and maintenance of the battery. It notifies the user to replace battery in advance when the battery getting aged. Cranking test is mainly to test and analyze the starting motor. Through testing the actual required cranking current and cranking voltage of the starting motor, it can find out whether the starting motor works fine. There are several reasons why the starting motor is abnormal: lubricating system fault causing the starting loaded torque increasing or rotor friction of the starting motor causing the increasing friction of the starting motor itself. 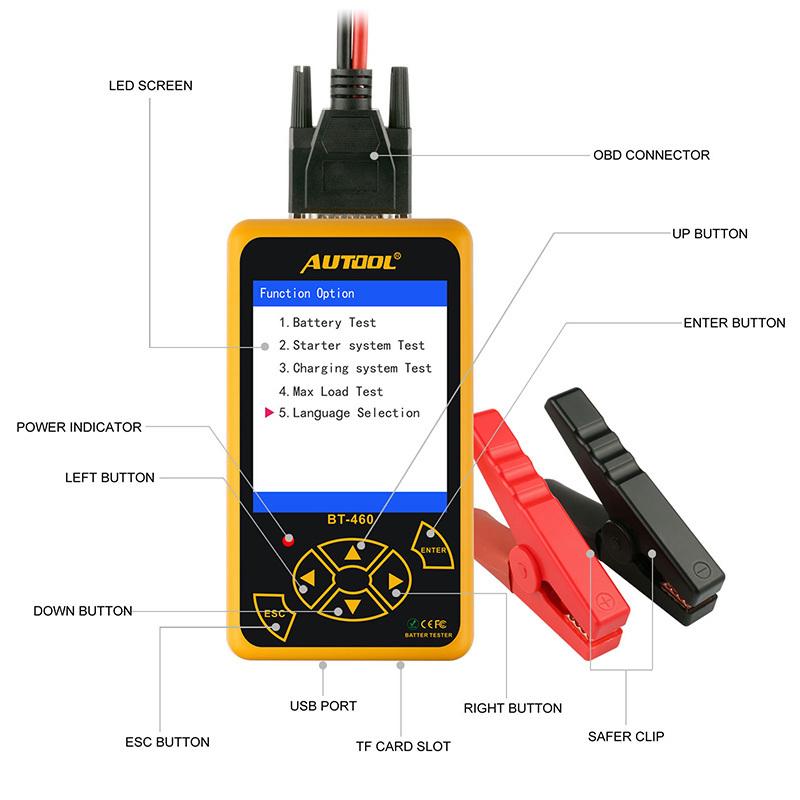 Charging test is to check and analyze the charging system, including generator, rectifier, rectifier diode, etc., thus to find out whether the output voltage of the generator is normal, the rectifier diode works fine and the charging current is normal. Suppose one of the above mentioned parts is not in normal situation, it will lead to over charge or incomplete charge of the battery, thus the battery will be quickly damaged and also greatly shorten the using life of other loaded electrical appliance.